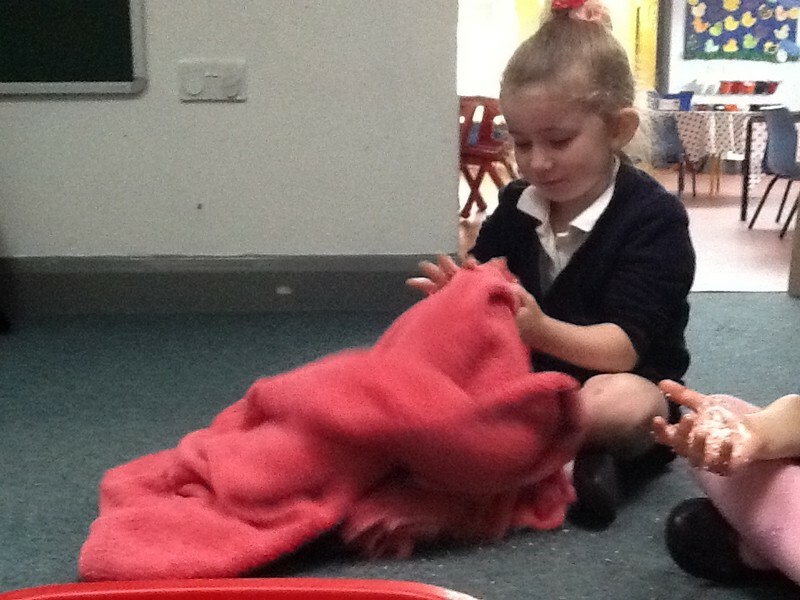 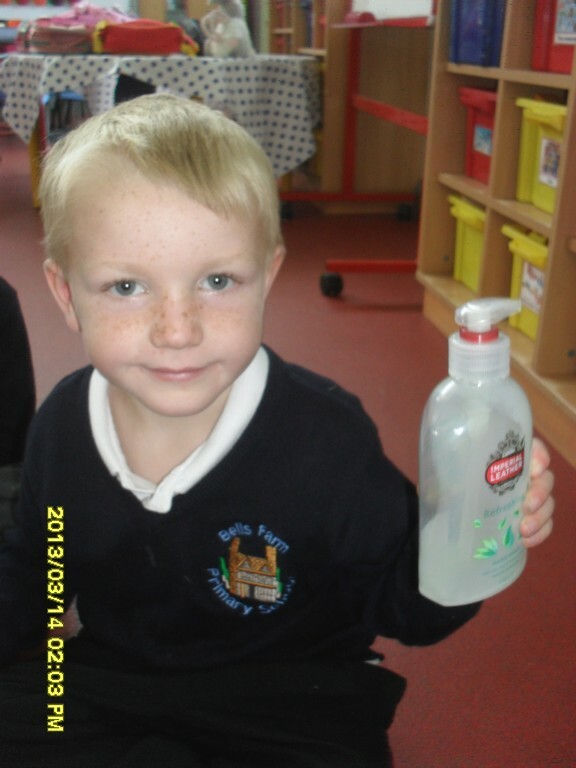 Chatter bags – The children brought in items to talk about around the theme of ‘Keeping Clean.’ They were able to talk about the importance of washing our hands. 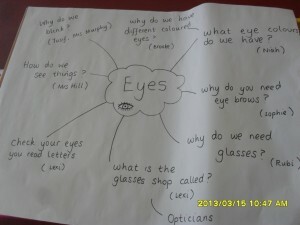 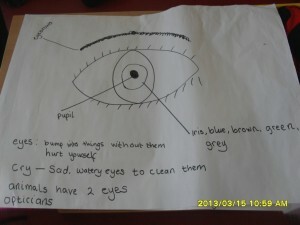 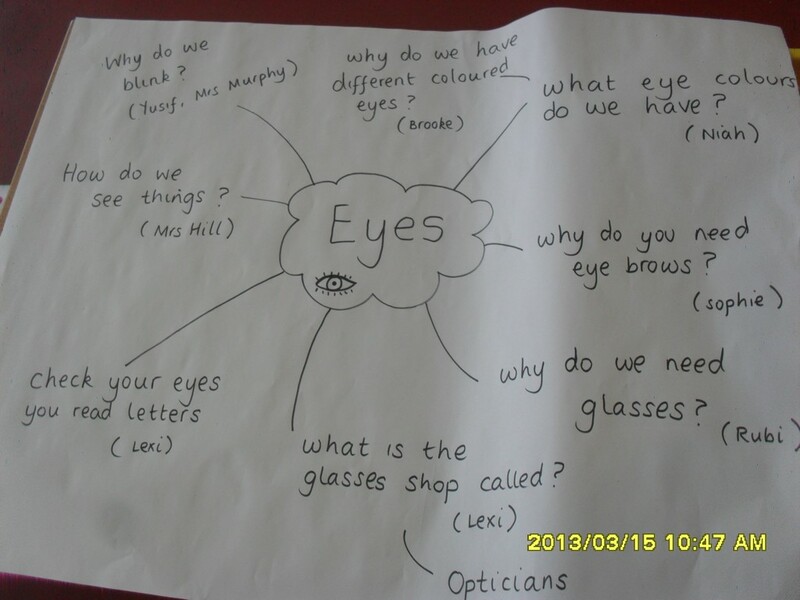 Sight – We brainstorm what we wanted to learn about our eyes. 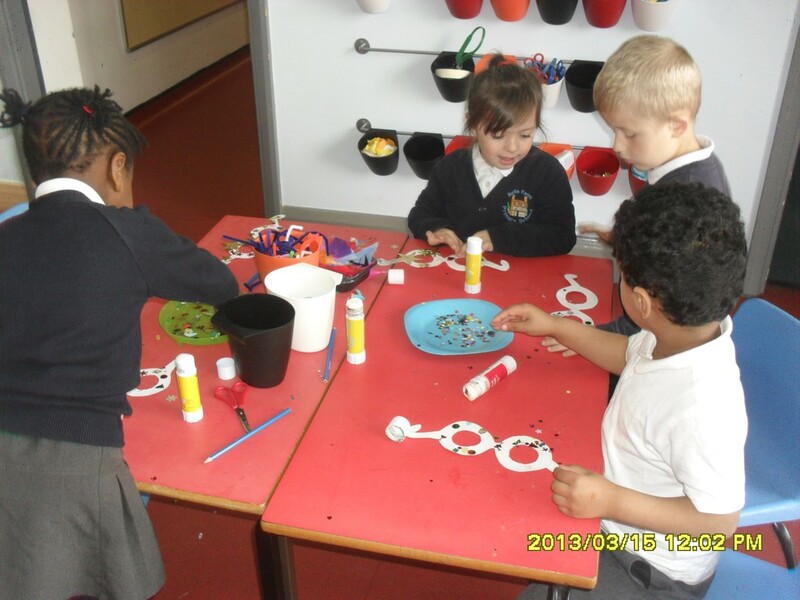 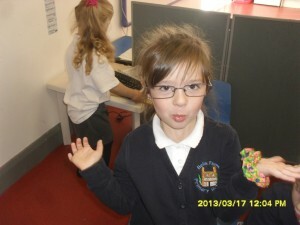 Glasses – We have decorated our own glasses! They are so sparkly. We have also loved playing in the opticians. 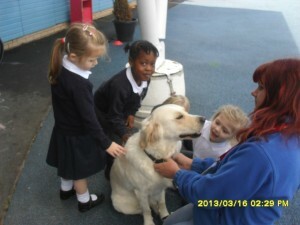 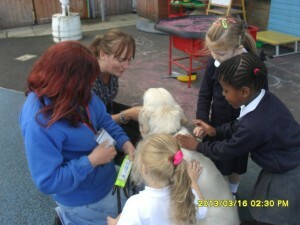 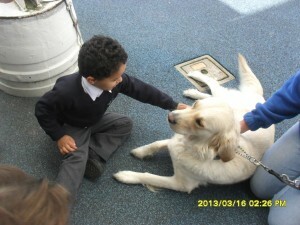 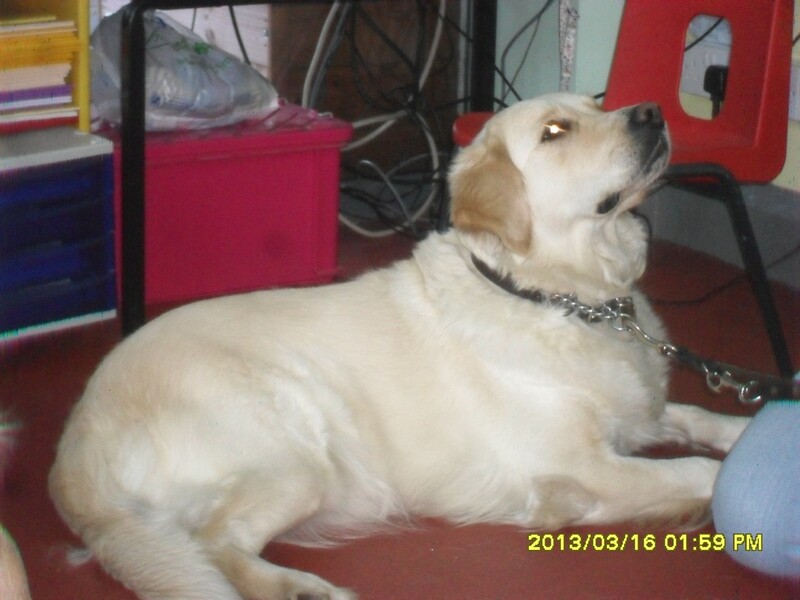 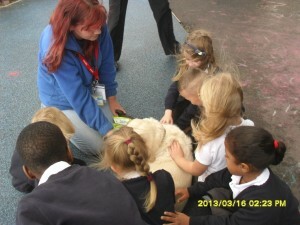 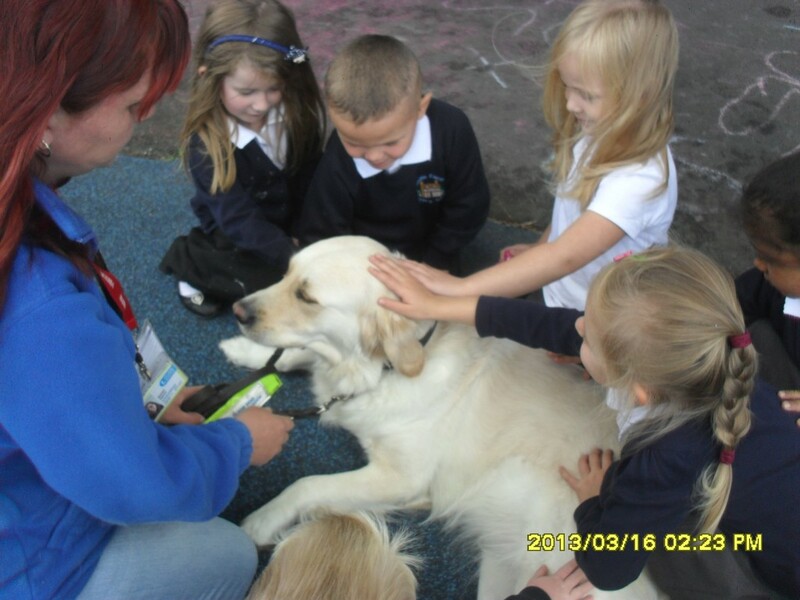 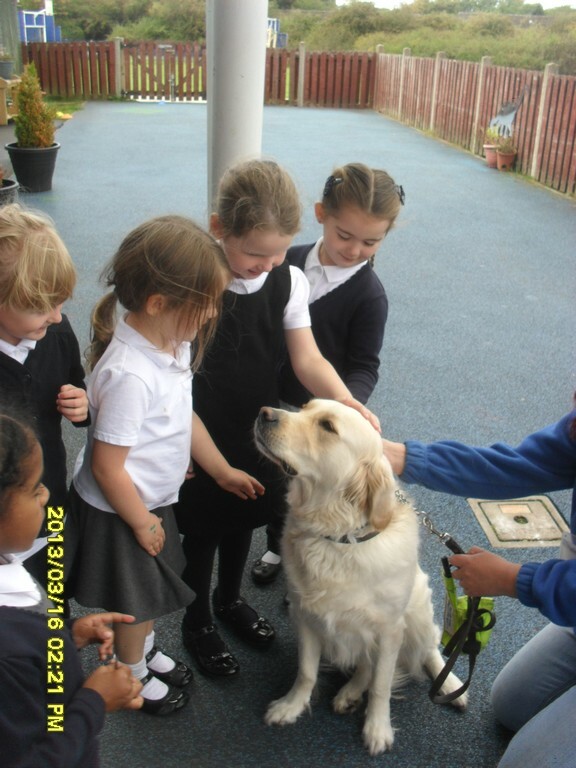 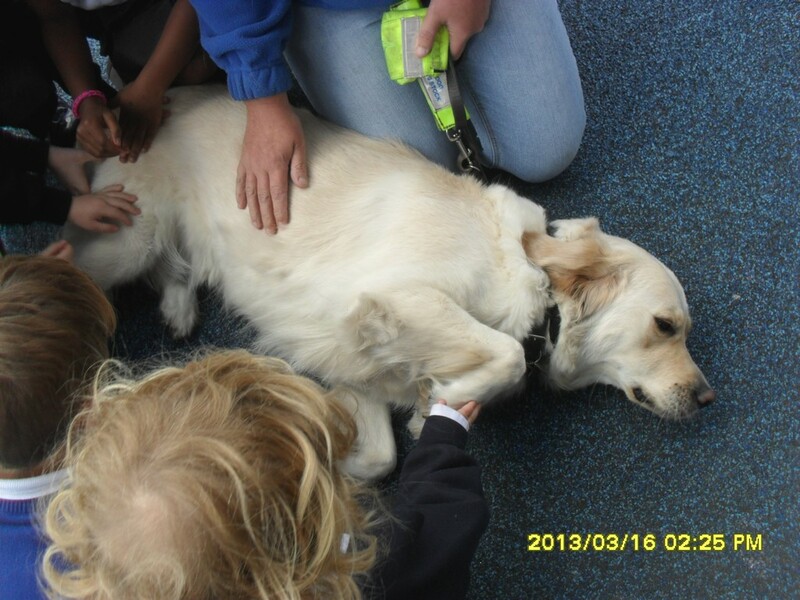 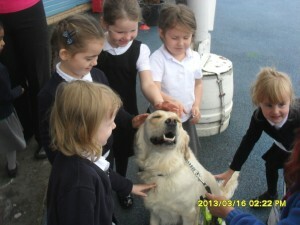 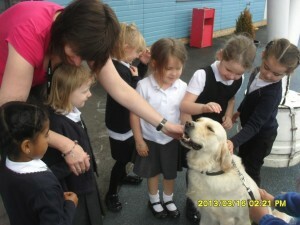 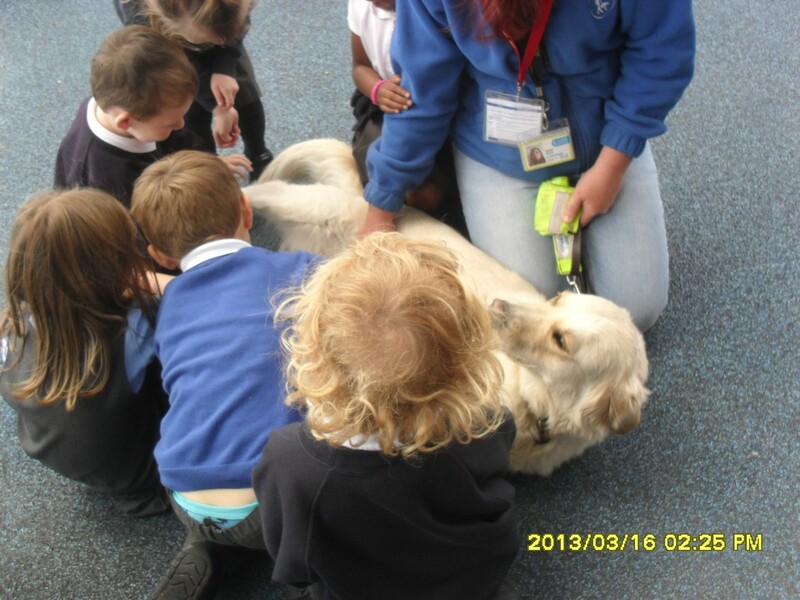 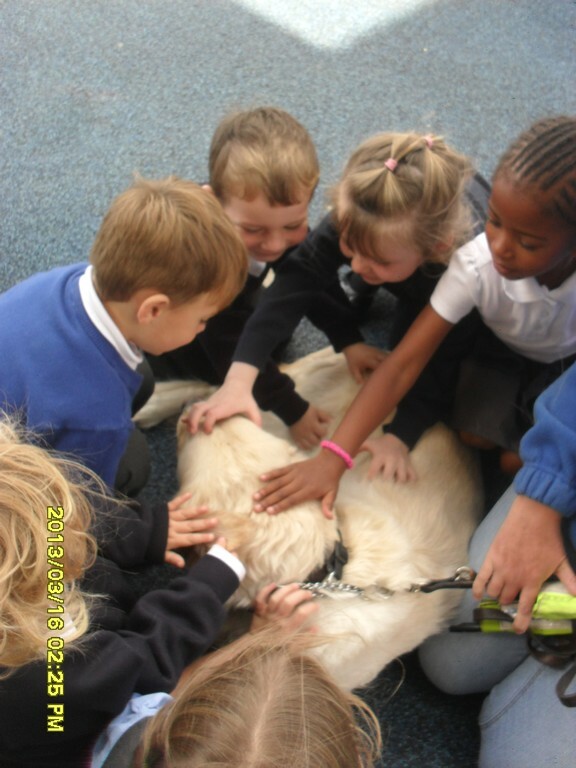 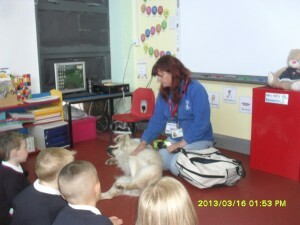 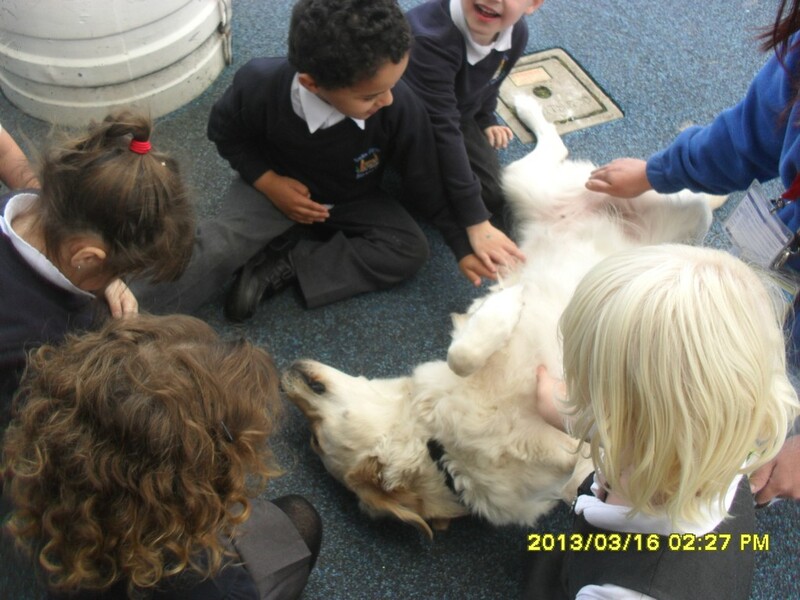 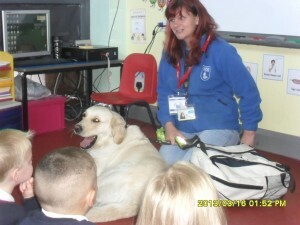 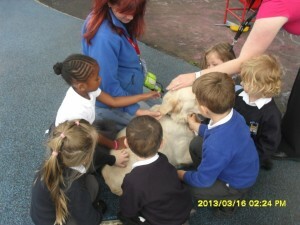 Guide Dog – Bonnie, the guide dog came to visit us in school. 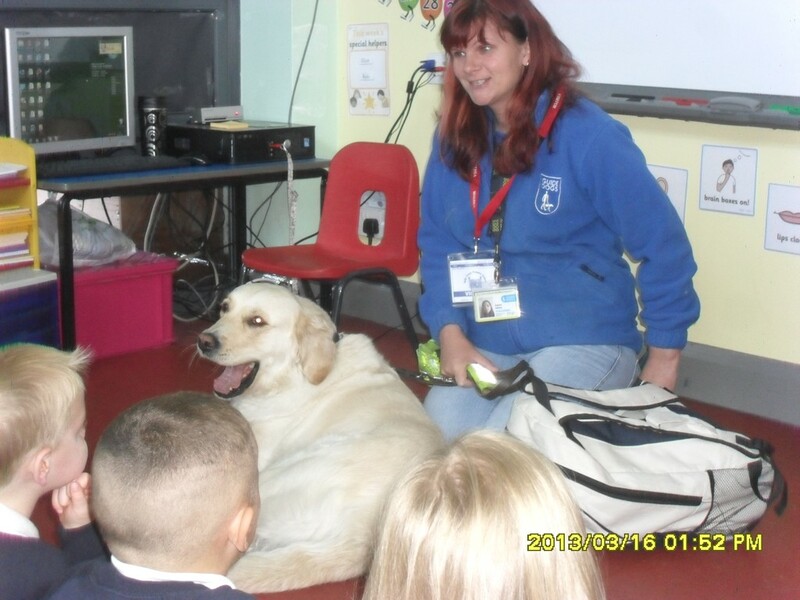 We learnt all about how guide dogs help people who care for blind or partially sighted. 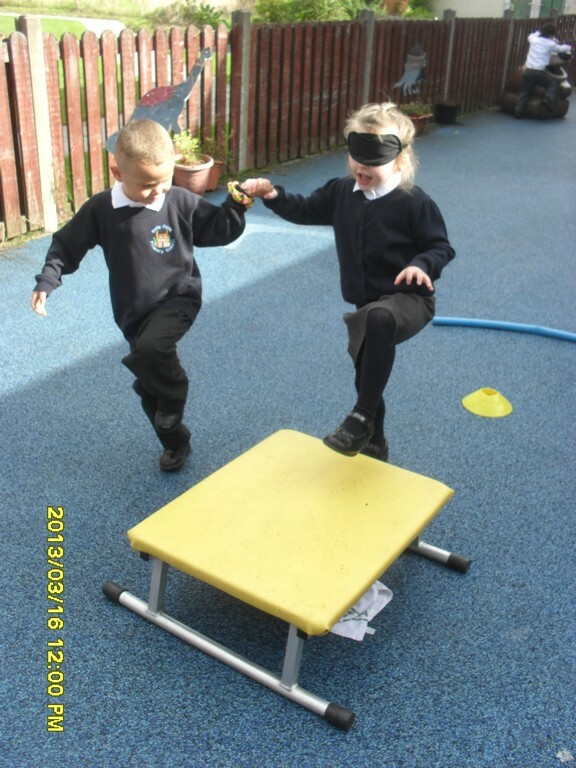 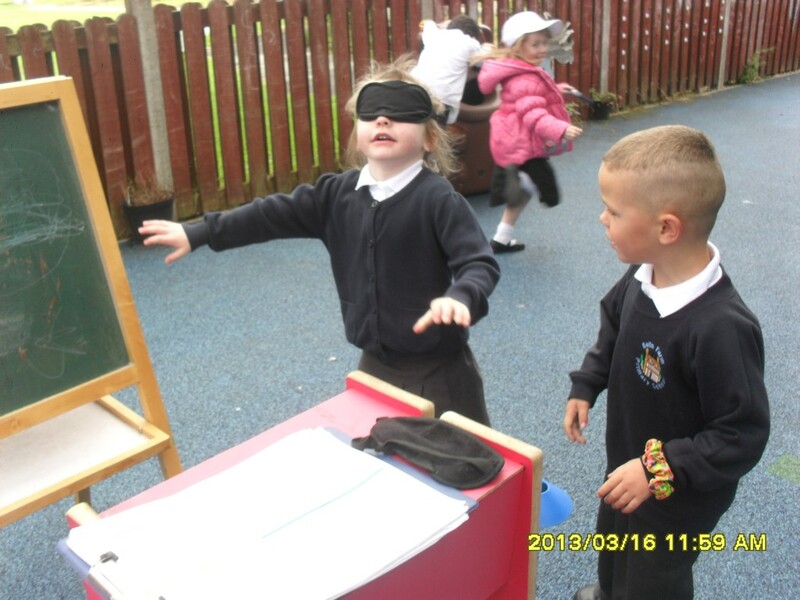 Blindfolds – We imagined what it was like to have no sight! 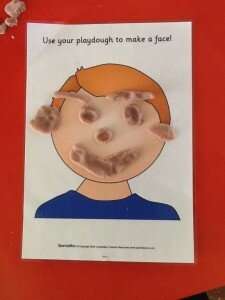 It was scary. Reflective or non reflective? 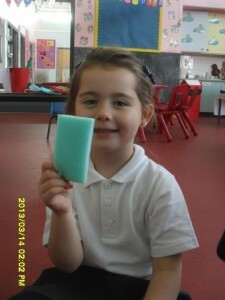 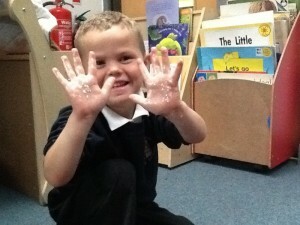 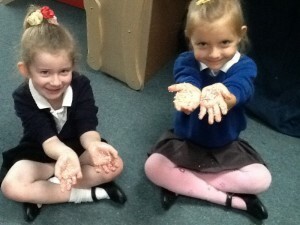 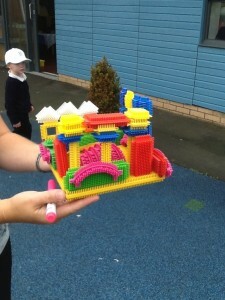 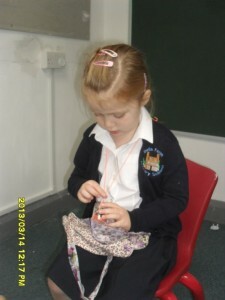 – We have also learnt about reflective and non reflective materials. 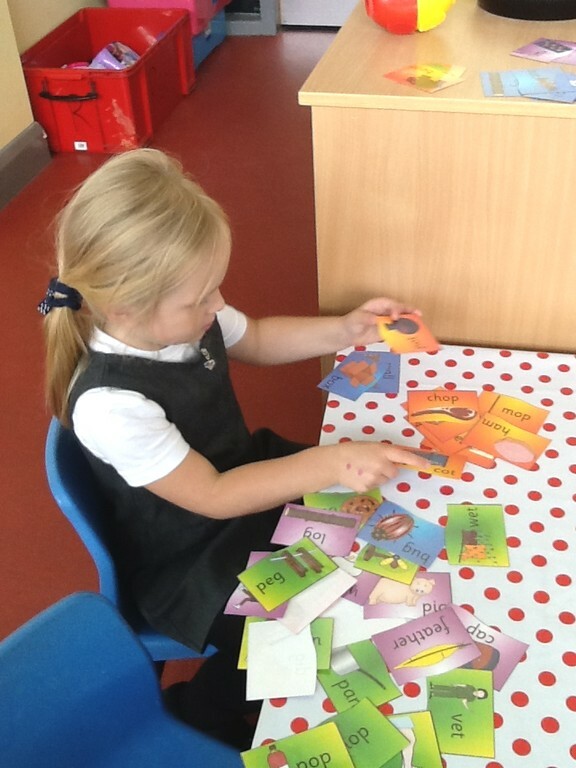 We loved sorting them! Read the Swans Receptions Class newsletter – Click here. We have been looking at keeping ourselves clean and healthy. 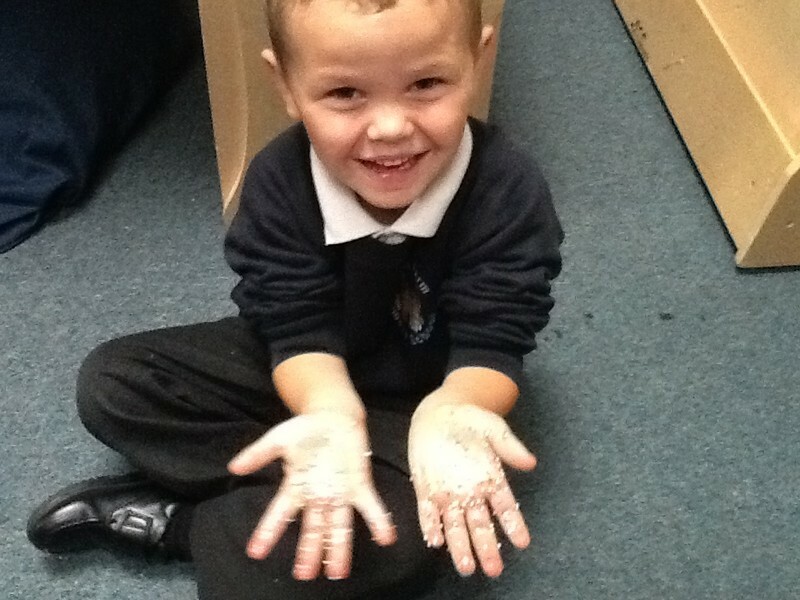 We used 100’s and 1000’s to represent germs on our hands and then used different ways of washing them to get rid of the germs. 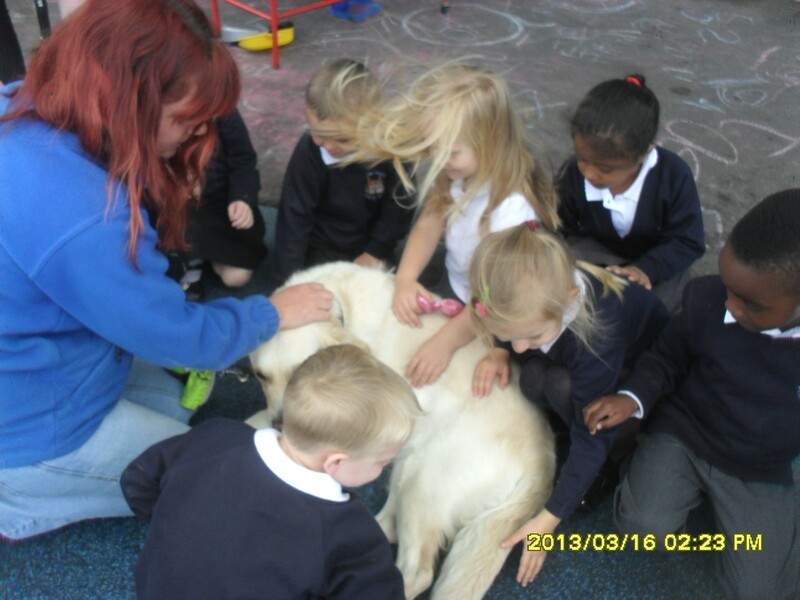 Read the latest Swans class newsletter – Click here. 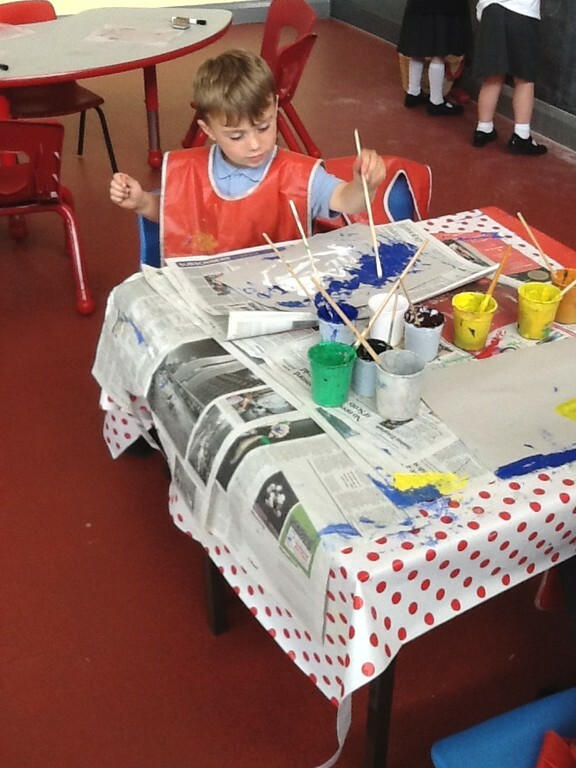 Continuing with our topic on ‘The Ugly Duckling’, we have been painting some lovely pictures about the story. 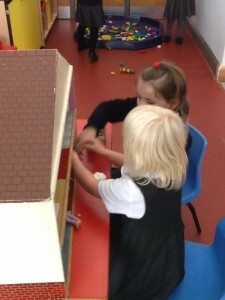 The ‘Small World’ area has been a great favourite with all the children. 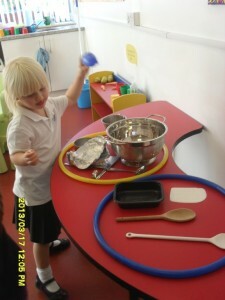 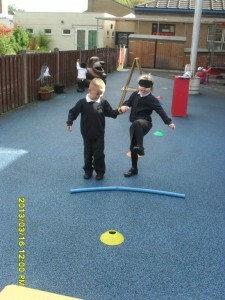 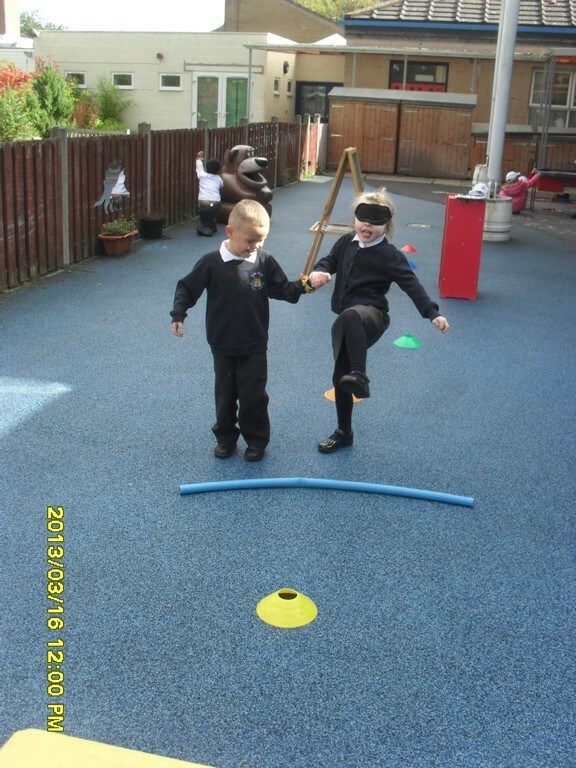 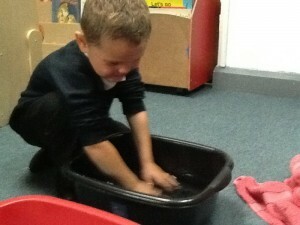 The children have enjoyed playing in the Home Area where we have been looking at ‘Looking after Ourselves’. 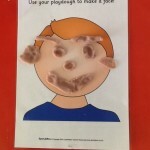 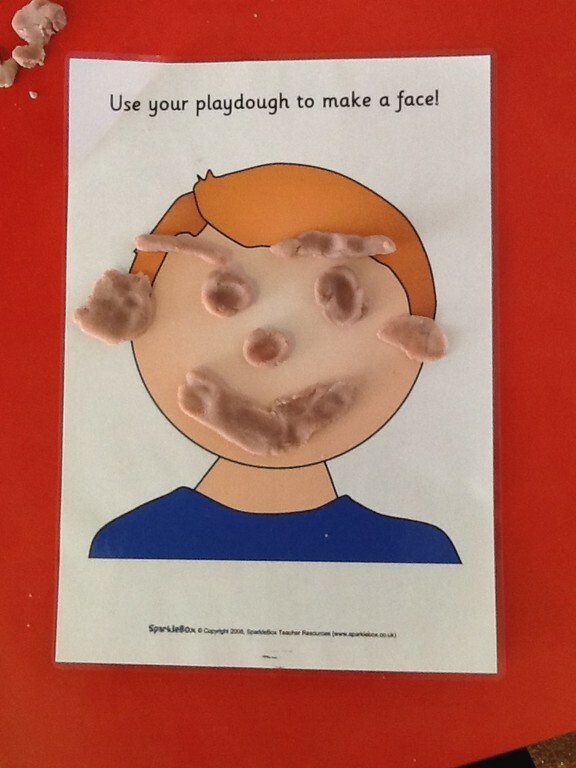 Also under our topic of ‘Looking after Ourselves’, the children have been playing with playdough and making play dough faces. 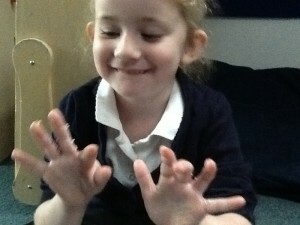 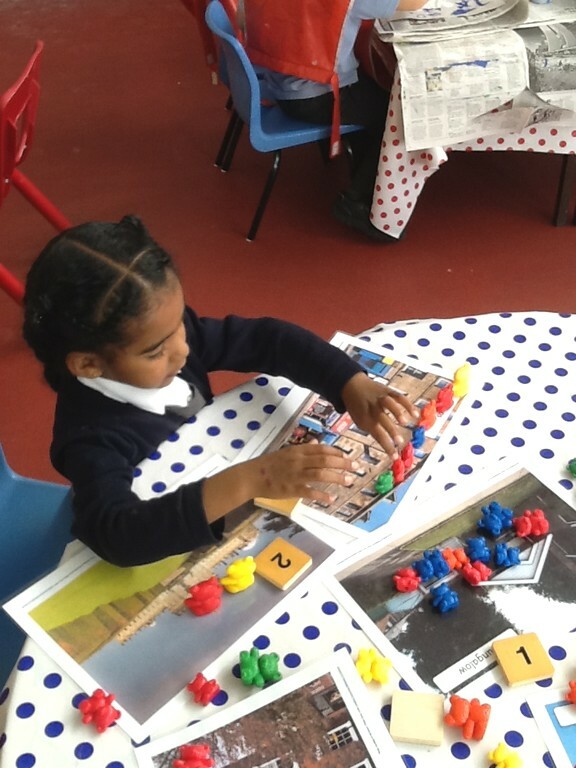 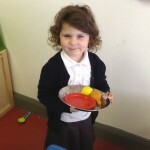 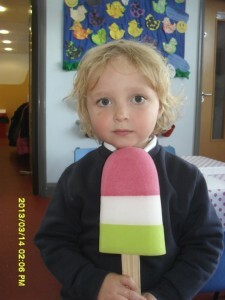 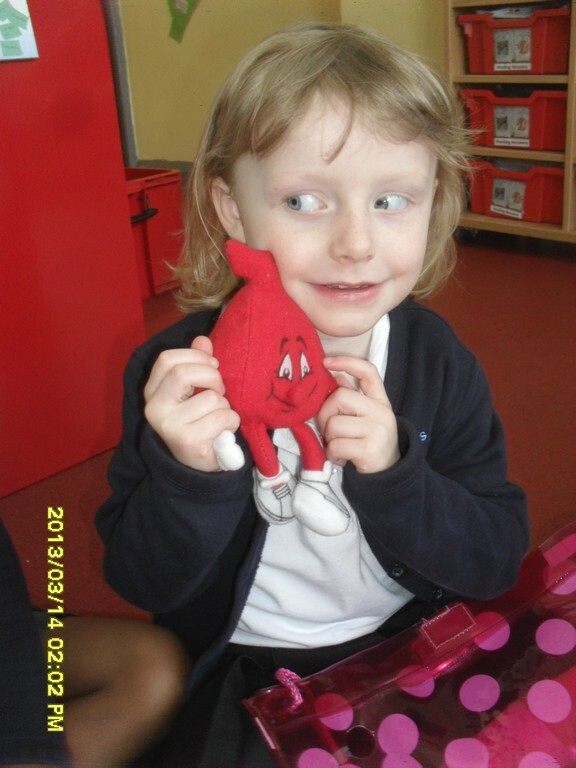 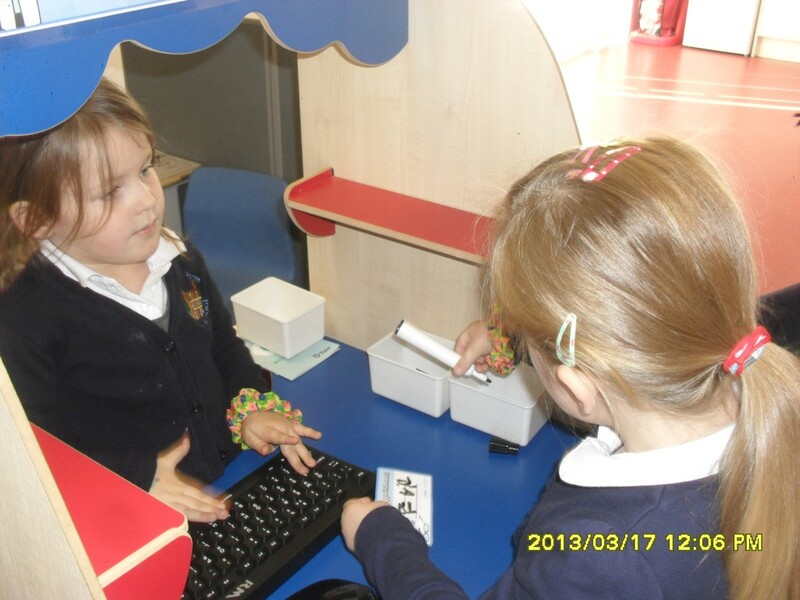 In Numeracy the children have been matching numbers to objects on pictures. 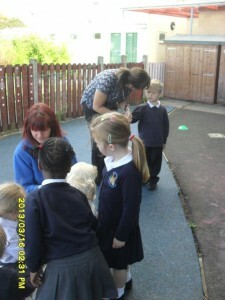 We have also been looking at rhyming words which the children enjoyed very much. In our construction area the children made some fantastic models and they were able to think about what they wanted to make, make it and write down on a post it note a description of their model.